Cashman Leadership is a site created for Kevin Cashman. He is a best-selling author, top-ten thought leader, world-class speaker, global CEO coach and pioneer of the “grow the whole person to grow the whole leader” approach to integrated leadership development. The firm he created, LeaderSource, became part of Korn Ferry International in 2006. Since then Mr. Cashman has been a Senior Partner at Korn Ferry and CEO of the Chief Executive Institute®, referred to as the “Mayo Clinic” of executive development by Fast Company magazine. 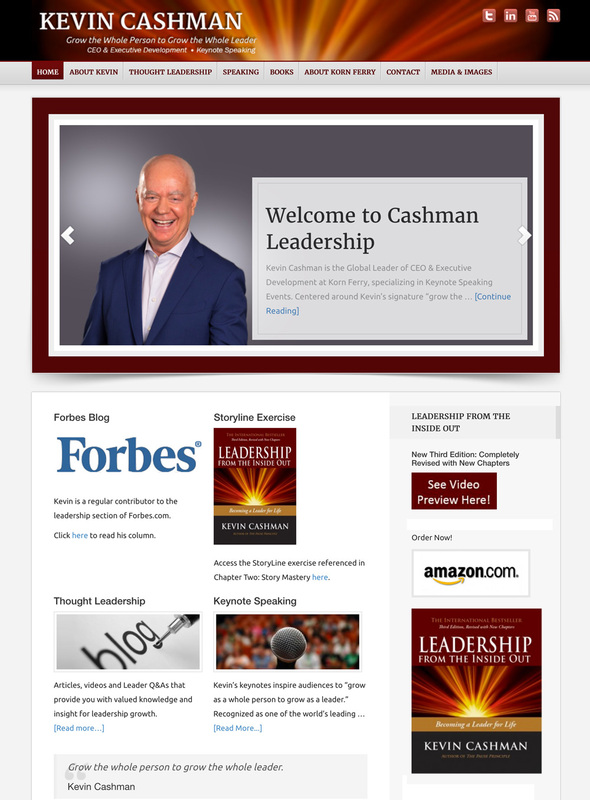 The site we created for him is a branding showcase for Mr. Cashman and his books, thought leadership, speaking schedule and more.